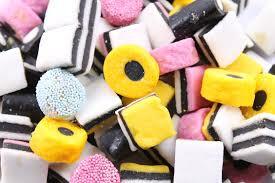 Licorice All-Sorts for all of you! When my child had his full diagnostic assessment completed, it explained a lot. A LOT. Having already lived the symptoms for a good forty years I was, naturally, aware of most of the challenges reflected in the documents. At least one point, though, was new to me. Our tricky brains do not let us “hold” information from one space (e.g. blackboard) to another (e.g., paper on the desk in front of us). I had lived that truth for decades, and certainly felt the frustration of it, but I had never identified it. I simply didn’t understand why most people seemed to do that so easily, while I felt like I was having a nervous breakdown every time this was asked of me. cover unnecessary information with a book. Sound silly? If you have a brain quirk similar to mine and my son’s, it doesn’t to you, does it? It makes sense. It’s a relief. If you have this aspect of brain disability—and printing makes the difference between your ability to complete steps or not—print as needed. Know what you need; do what you need to do. In my financial tracking software, I check off the categories for business income and business expenses, and send it to paper. Once I’ve done so, I put the paper aside (in my file folder marked Taxes 2016) and go on with my life. Exploring the document will be a step for a different day. It’s January 28th, and I’m about one-third of the way through my tax preparation. I feel no stress, and all ease. Good! Have you taken Step 1 yet? How do you feel about giving yourself a head start? * Now, I know we want to save trees. They are so good to us! If you are a person that needs to print, consider using 100% recycled content or paper from a quickly renewable resource, such as bamboo. Both of these are available at my local office supply store, a.k.a. Staples. I did that thing about calling my business expenses categories the same as what they are called in tax returns. Thank you. I am wondering what your tax kind of software is? The one that lets you print like that? I don’t have/use any tax software. So, what I’m printing off is a “report” from my financial tracking software (in my case, YNAB4). This is doable in OpenOffice Calc (free version of Excel), etc, too.